If you're looking for handles or knobs for your cabinet doors, wardrobe doors, or your kitchen drawers, then this is the place to find them. We have a huge array of handles taylored to be both functional and decorative, to compliment all types and styles of furniture in the home or office! For a traditional feel to your Doors, Cabinets or Drawers, this is our range of 'D' Style Door Handl.. Stylish and practical, our range of Bow Style Door Handles would not look out of place on any Door, ..
With so many different styles to choose from, our Door Knob Handle range can cater to all styles of .. Going for a retro olden time theme? 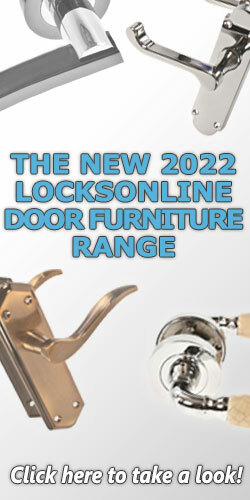 Check out our range of Ring, Pendant Knockers and Handles! Her..
Generally used as grips for a chest of drawers or cupboard, this is our range of Cup Handles! Curve..
More commonly found in kitchen cabinets, these Finger Pull Handles are a simple solution for opening..
For blending into the surface, our Inset Flush Handles offer a practical and visual solution to open..
Our range of Bar Handles gives a nice professional look that is used on a wide variety of different .. Looking for a door handle with a bit of a difference? Check out our range of 'T' Style Door Handles..
Our Profile & Trim Handles are ideal in a kitchen environment where cupboards are around your wa..
Strap and lay-on handles are designed to sit on the surface of the door or drawer front, and are a s.. If you have not found the handle you need yet, it is probably listed here under Other Pull Handles! ..
To add style to your handle, attach one of our Handle Backplates to the door! With the right combin..